5 Terrorists Are Still in Pretrial Hearings for the 9/11 Attacks. Here's Why It's Taking So Long. 5 Terrorists Are Still in Pretrial Hearings for the 9/11 Attacks. Here’s Why It’s Taking So Long. A case that exemplifies the president’s point is the military commission for five terrorists charged with planning and perpetrating the Sept. 11, 2001, attacks on the United States. 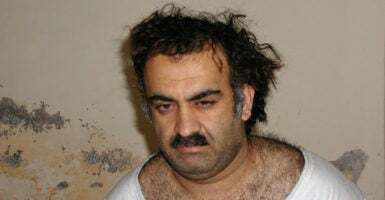 The United States v. Khalid Sheikh Mohammed, et al., is and has been in pretrial hearings since the five terrorists were accused in 2012. The longevity of that reminds us of the fictional inheritance case from Charles Dickens’ “Bleak House,” in which Dickens criticized the inefficiency of the court system in England. Jarndyce v. Jarndyce lasted for several generations, and when it was finally over, court costs from the case had drained the estate, leaving no inheritance money for the family. Although this hasn’t lasted generations, the protracted length of the military commission for the terrorists will continue to drag slowly through court for years. The five terrorists in United States v. Khalid Sheikh Mohammed, et al.—Khalid Sheikh Mohammed, Ramzi bin al-Shibh, Walid bin Attash, Ali Abdul Aziz Ali, and Mustafa Ahmed al-Hawsawi—are being charged with involvement in the 9/11 attacks, and the prosecution team is seeking the death penalty for their crimes against humanity. They were first brought to court in a military commission in 2008. 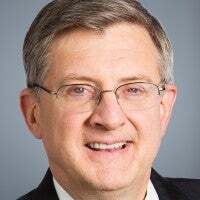 But in 2009, then-Attorney General Eric Holder announced that the trial would be moved to federal district court in New York, where the detainees would be tried in a civilian court, rather than a military commission. That decision was met with overwhelming opposition, which included Congress passing legislation to restrict funds from being used to transfer the detainees to the United States. So, in 2012, the military commission restarted at U.S. Naval Base Guantanamo Bay, Cuba. The astonishing length of this military commission—six years and counting—bears an unfavorable comparison to the Nuremberg trials. In late 1945, six months after the World War II Allied victory in Europe, 24 high-profile Nazi war criminals were tried, and less than a year later, they were either convicted or acquitted. Going to Guantanamo Bay as an intern for The Heritage Foundation, I (Meagan Devlin) was able to see why the case is still in its pretrial hearings and why it will likely remain in that stage for some time. Because the military commission is located in Guantanamo Bay, the American public has limited access—and, therefore, limited knowledge of, or interest in, the case. In order to increase transparency and keep the public informed on the progress of it, the government has opened the hearings to select media and nongovernment observers. I was given the opportunity to travel to Guantanamo as a nongovernment observer to witness the pretrial hearings for a week. There, I saw the proceedings in the courtroom through a triple-paned window and heard the audio feed on a 40-second delay, in case classified information was mentioned. During the week I was there, the court convened for two half-days and one full day of unclassified hearings. In addition, there were some closed classified hearings that week. The hearings proceeded slowly, with the five defense teams each being given the opportunity to weigh in on the different motions being discussed. There was also a long delay because a defense attorney’s slideshow had to be checked for declassification twice on the day he wanted to show it, despite the fact that it had already been cleared as declassified the night before. There are other bizarre reasons why this case is proceeding so slowly. Upon arriving in court on Wednesday morning, it became known that the detainees’ laptops had been confiscated. Those laptops supposedly have no internet access and are simply there to aid the attorneys and detainees in looking up information on thousands of pages of declassified material, which was preloaded onto the computers. The confiscation issue proceeded to take up a substantial portion of the hearings on both Wednesday and Thursday, which precluded discussion of some of the motions that were slated for those days. The issue was not resolved by the end of the week, and it is unclear how long it will take for it to be resolved. Another factor adding to the longevity of the pretrial hearings is the time between hearings. This hearing was scheduled for two weeks, but at the end of the first week, the judge canceled the second. What’s more, the next hearing, scheduled for Dec. 4, might be canceled, owing to a conflict with one of the attorneys. The head of the prosecution team, Brig. Gen. Mark Martins, noted that this case will take as long as is necessary, and the prosecution will not rush through any portion. Judging by the court proceedings during the week I was there, this case will likely take many more years to proceed through the pretrial hearings, the trial itself, and the appeals likely to follow. It has been said that “justice delayed is justice denied.” The families of the victims of the 9/11 attack—and the American people, who are paying for the trials—deserve far better. This article has been updated to correct the year in which the military commission trial restarted at Guantanamo Bay.